What is self imposed time?When and how do you impose time on others? What is a time trap? What are the tools, strategies, formulae, laws & techniques of smart Time Management? To a packed audience of almost 3000 budding entrepreneurs at Shanmukhananda Hall in Mumbai,Mr. 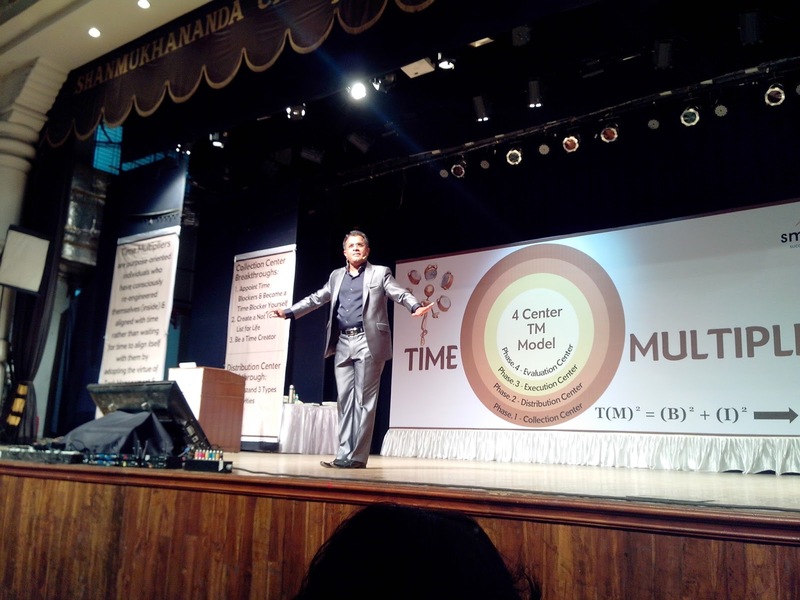 Santosh Nair, Chief Mentor & Chairman Smmart Training &Consultancy Pvt Ltd. today launched TIME MULTIPLIER, the latest in the Multiplier series for life and efficiency maximization for entrepreneurs. Time Multiplier is not just about managing time efficiently, it is more about how to multiply your tasks accomplishment within a stipulated time frame. Said Mr. Nair, "Everyone feels that they are pressured and have no time to do anything in life. People are unhappy that there is too much happening in their life and they are unable to focus on what they want & feel victimized by the overwhelming feeling that "I have lost control over my TIME & therefore my LIFE." "Nature has invented time so that everything doesn't come together. It has consciously aligned all event, activities, thoughts, words & deeds in their life in a manner that they happen seamlessly, continuously, without interruptions", he argued. Time multipliers are extraordinary individuals, teams, organizations, nations, who have developed an innate ability to align with time in the best possible manner. 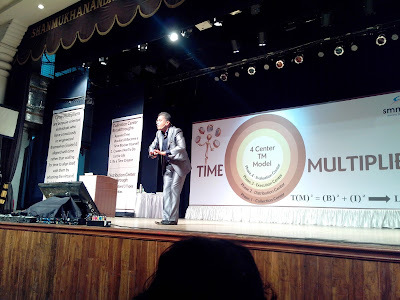 "Time Multiplication is a committed way of life to manage time that leads an ordinary individual, team, organization, nation to levels of extraordinariness," he explained. India's Preeminent Confidence, Motivational Guru & Entrepreneur Coach and Author of "11 Commandments of Life Maximization" have inspired over Two Million people till date through his motivational talks. He has devised a series of topics called 'The Multiplier Series' that covers several topics like Productivity Multiplier, Sales Multiplier, Success Multiplier, Change Multiplier, Confidence Multiplier, Distinct Forte Multiplier, Future Multiplier, Leadership Multiplier, Opportunity Multiplier, Organization Health Multiplier & Trust Multiplier.